Sitges is much more than nice beaches and charming streets. This beautiful coastal municipality is in the Garraf region, which offers many possibilities to its visitors, thanks to its beaches, its beautiful villages and its natural park. 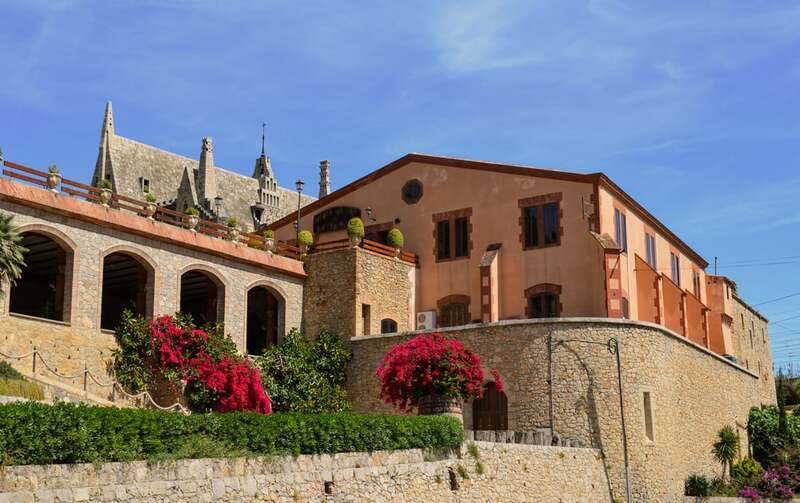 From Sitges Group we recommend you make the most of your stay in Sitges by using this opportunity to discover the Garraf, visit its massif, enjoy many hiking routes - on foot or by bike.- through the Garraf Park and visit its beautiful beaches and villages. The Natural Park of Garraf is a space of natural interest, which means that it is a protected area, in order to guarantee its conservation. It is an area with Mediterranean climate and it is quite dry. It also is one of the most interesting natural areas of Catalonia thanks to its massif, its fauna and its direct contact with the sea. The calcareous rock offers a very special landscape, even exotic to some, and the area has its own vegetation. And among all this, you will be able to see caves, vineyards and farmhouses. There are many routes that can be done around the Garraf Park. It is a perfect area to go hiking or biking, and it is ideal for a day out with children. There are also guided itineraries to get to know the park better. The easiest access point from Sitges is the Polígono de Mas Alba. The Camí de les Costes or Ruta de les Cales is very popular, and it is a route that allows you to go from Sitges to Vilanova i la Geltrú. Farmhouses, military buildings in ruins, chapels and lookouts to enjoy the views is all you can find if you decide to do this itinerary that follows the signs of GR-92. In addition, you will have the opportunity to discover beautiful and quiet coves where you can enjoy a bath if the weather is nice. Anyway, there are more than 10 walking routes that can be done in the Garraf region, so you can always find one that fulfils your expectations. The Garraf region has 25km of fine golden sand beaches (like those found in Sitges), as well as small coves and ravines that fall to the sea. Its waters are calm and shallow, which makes them one of the biggest attractions in the area; especially for families who want to enjoy the sea without risks for the little ones. There also are many nautical activities that are practised in the Garraf. The yacht clubs and the companies specialized in the sector will allow you to enjoy a varied offer along the coast of the region: courses and outings with sail, kayak, surf, etc. The regattas are also frequent and numerous, some even with international projection. The Casetes del Garraf is one of the best-known and most beautiful beaches in the area. It is located in the urban centre of Garraf and has a length of 380 meters. Its sand, like most beaches in the area, is fine, but in this case, it is mixed with stones. In addition, there is very little inclination of entry to the sea. This beach owes its name and its attraction to its huts. It is a kind of maritime neighbourhood created with wooden cabins built almost on the sand of the beach. Although they have been refurbished and look a bit different, you can tell they are old and beautiful barracks that the fishermen used to store their work tools. The Garraf has much to discover: mountains, beaches, hiking trails and of course, the beautiful town of Sitges. Any of the Sitges Group apartments can be a great option if you want to visit this special area.